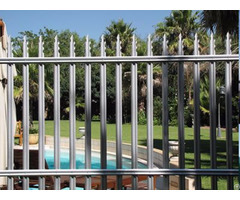 Palisade pale is the most important component of palisade fence, so the quality of palisade pales decides the quality of palisade fence and palisade gate. The surface of palisade pales can be treated by galvanized, PVC coated, powder coated and so on. After these treatments, the palisade pale will have a more beautiful appearance, higher performance and longer service lifespan. In different environments, the palisade pales have different styles, you can choose a suitable one for your need. Posted By: Kesson Industrial Co., Ltd.
Business Description: Kesson Industrial Co., Ltd. is committed to producing palisade fence series. The facility of stamping, coating, hot-dipped and PVC coated is well equipped and advanced. We have professional production team and the workers cooperated well to produce more professional products. Our company has been upholding the idea that customer first and quality first, this idea has promoted our group to develop into a larger company. At present, the products will be exported to many factories overseas, so we are able to develop a high security fence markets for you. Four pictures about palisade fence, they are green powder coated, galvanized, black PVC coated and an extended wall fence. Our products are produced in a very stringent procedures, the materials of the products are low carbon steel, mild steel, stainless steel, hot or cold rolled steel, you can choose the suitable one for your application. The surface treatments have hot-dipped galvanized, electric galvanized, PVC coated and all RAL colors are available. After these surface treatments, the palisade fence will have good corrosion resistance, rust resistance and wear resistance. 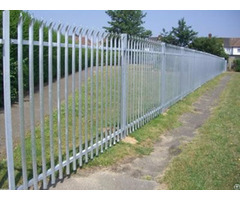 We can provide palisade fence, palisade gate, palisade post, palisade pales and palisade fittings. 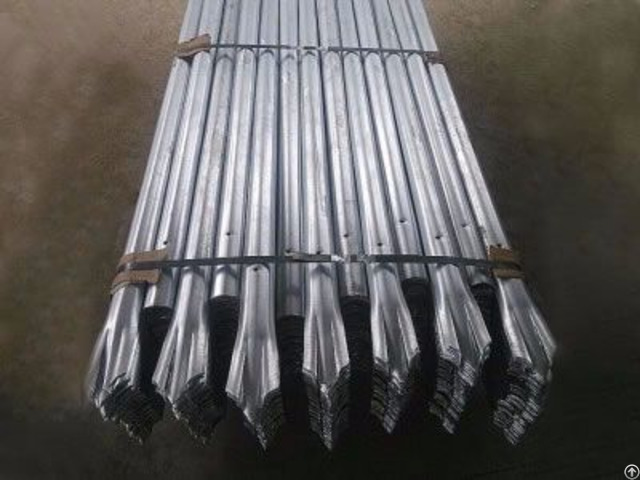 We can produce standard type of palisade fence, we can also provide special size for you, like the height of the palisade pales and palisade post, the thickness of the palisade rails and pales, the length of horizontal rails, the type of post caps, etc. 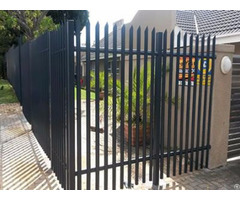 You can choose an installed palisade fence or gate, you can also choose one component to replace the old one. The price of our product is reasonable. We also have professional sales representatives, who can offer detailed information for you, so you don't worried what kind of palisade fence you should choose. We will try our best to meet your demands. If we can provide suitable products for you, we will be very pleased to deliver in time according to your needs, you can also contact us through online, e-mail and telephone to learn more information about the productions.